The islands of Croatia have been inhabited since prehistoric times and archaeological findings have confirmed that the people of Palagruža have called it their home since the post-glacial period. During the fourth century BC, Greeks came and founded Issa on Vis, the oldest and largest of Greek colonies on the Adriatic. All people who set up camp or ruled within the Adriatic islands have left their mark on the land and its culture. Evidence of this is apparent in numerous island based museums and extensive church and monastery collections of priceless heritage. We will take you on a quick cruise of the Croatian island museums. Our first stop is the island of Krk or the islet of Košljun to be more precise, just across the street from Punta Marina, sits an exceptional and carefully arranged Franciscan monastery museum. It holds a collection of articles from the Hellenistic and Roman necropolis, they sit alongside a valuable assortment of prehistoric pottery vessels from Punta. Particular attention is given to stone monuments, of which we will mention the distinctive Roman tombstones – ‘cipusi’, found on Košljun and the town of Krk. Next on the hit list is Cres and its typical Gothic-Renaissance museum building from the 16th century. Its archaeological treasures hold the material remains of life on the island from prehistoric times to the Middle Ages, while the ethnographic collection contains objects of everyday use, agricultural tools, fishing gear and local folk costumes from the period between the 18th and 20th century. 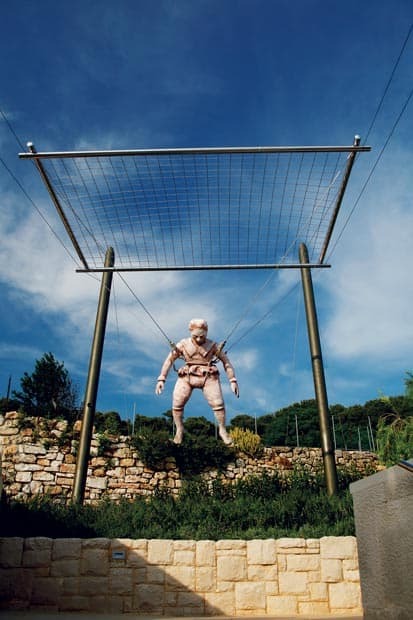 You can easily sail or drive from Cres to Mali Lošinj, where a quite unusual museum was erected in the Kvarner palace, for only one exhibit: Apoxyomenos. The handsome Greek statue is 1.92m tall and was cast in bronze in the second century BC. The statue was discovered laying on the bottom of the sea near Lošinj in 1999, after spending almost two, very sleepy millennia there. It is one of the best existing examples of bronze statues from the Hellenistic period. Apoxyomen didn’t get to Lošinj immediately after it was made – it was confirmed by radiocarbon dating, two centuries later, that it was probably thrown off or lost over the side of a Roman merchant ship during a storm, while being sailed to a larger city such as Aquileia, Ravenna or Pula. The cultural and historic pearl of the northern Adriatic is also the Town Lapidarium in the 14th century St. Christopher Church on Rab, which is also home to an exhibition of stone monuments from the second to the 18th century. There is a staggering total of 162 stone artefacts on display. The oldest exhibit is the Roman bas-relief, part of a second-century tombstone. There is also an early Christian sarcophagus from the sixth century and fragments of stone liturgical church furnishings from the former church of St. Martin from the ninth century. On a different tack, Betina Museum of Wooden Shipbuilding, located on the island of Murter, won the 2017 Silletto Prize for Best European Museum of the Year in the category ‘Museums and Communities’. This museum’s theme is unique in Croatia: the traditional construction of wooden ships with Lateen sails, skills and workmanship which Betina shipbuilders have carefully treasured and passed down from father to son for generations. Shipbuilding expertise, tools and ethnographic objects are presented here and, as expected, the famous Betina Gajeta sailboat is also on display. The Faust Vrančić Memorial Centre on the Island of Prvić in Prvić Luka commemorates the life and creativity of the great Croatian philosopher, lexicographer, bishop and inventor. He is remembered mostly as the inventor of Homo Volans – the flying man and the sketches of the first parachute, which is rumoured to have been tested quite theatrically, by jumping off a tower in Venice. Numerous models of Vrančić’s inventions are on display at the Centre, some of which are true to size. The museum in Škrip on the island of Brač will set you off on a thousand-year long journey through history. Here, in the archaeological collection, you can see Stone Age treasures that were found in the nearby cave of Kopačina, artefacts used in everyday lives of Illyrian tribes from the Bronze Age, reliefs, altars and inscriptions from Roman quarries and some remains of sixth-century Christian art. They include Hercules’ figure, early Christian findings from Mirje and a replica of Povaljski prag, the Hearth-stone of Povlja. Another treat for lovers of history and heritage can be found near Škripe – the Blaca Hermitage, established by Glagolitic monks running away from the Turks in the 15th century. 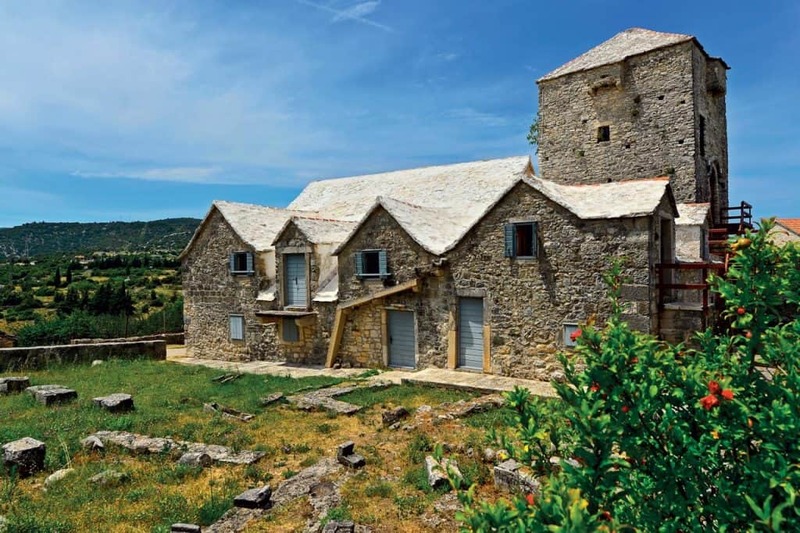 Blaca Hermitage was the intellectual and artistic centre of Brač in the centuries to come and its most prominent feature was the state-of-the-art observatory. Today it is a museum with a kitchen, dining rooms and a variety of old furniture from various periods throughout history. They surround a special collection of astronomical devices and a collection of old weapons and watches, as well as a large library. Korčula Town Museum is located in the 16th century Renaissance manor house of the Gabrielis family from Korčula. Its permanent exhibition shows the cultural and economic history of the town and the island of Korčula from prehistoric to modern times. One of the most notable articles that can be found here is a ceramic vase with relief motifs from the 3rd century BC which was found in Lumbarda. There are also amphorae, Roman kitchen utensils, parts of lead anchors and ancient bronze nails. The maritime history of Korčula is captured using watercolour paintings of sailboats by renowned artists, naval navigation instruments, maritime and geographic maps. Weapons and firearms found on display include Schiavonas (basket-hilted swords), sabres, yatagans and guns. The entire island of Hvar can be considered a living, breathing museum. Particularly in the town of Hvar, one will find noteworthy examples, such as the Franciscan Monastery collection and the Benedictine Monastery collection, with famous lace made from agave leaves, hand woven by nuns, as well as the Bishop’s Museum located in the cathedral. Arguable, the most notable is the Hvar Heritage Museum which is located in poet, Hanibal Lucić’s, Renaissance summer house. It holdstwo collections: one dedicated to Hanibal Lucić and the other, the Natural History Cabinet of Dr. Grgur Bučić. It contains ancient scientific and meteorological instruments, fossils, herbaria, archaeological artefacts, photographs, diplomas and old natural history books. The historical Hvar Theatre is another part of the Museum. This is a zero-category monument of national significance, built in 1612, it is the third oldest theatre in Europe. Also the first theatre in which members of all classes had equal access to cultural and social events. 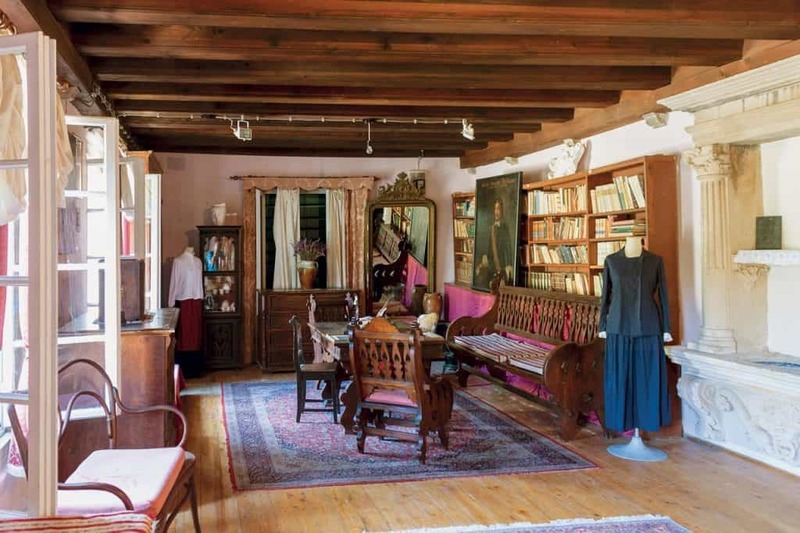 On the other side of the island a visit the Stari Grad Museum is strongly advised, located in the neo-Renaissance manor house of the Biankini family. The museum’s permanent collection contains, among other things, the cargo of a 4th century Roman Galley that sank into the bay of Duboka. Most of the cargo has been preserved until today, now on display in the basement of the manor house, in the same conditions that archaeologists found it in at the bottom of the sea. Numerous archaeological remains can be found beneath the houses and streets of the historic core of Stari Grad, remnants of the millennia of life here. It was precisely here that in 384 BC Greeks from the Aegean island of Paros founded a colony. The permanent exhibition at the Museum tells the story of the early history of Stari Grad, from prehistory to late antiquity. Komiža is one of the most important historic fishery centres of the eastern Adriatic coast. Komiža fishermen not only caught fish in the Adriatic and traded it along neighbouring coastlines, but also emigrated and created fishing villages on the Pacific coasts of both Americas. The fishing history of Komiža can be explored by visiting the Komiža fishing collection, located in an old Venetian tower on the waterfront. Traditional fishing gear that the locals wore is on display, as well as a replica of Gajeta Falkuša, a traditional Komiža fishing boat, charmingly tapered on both ends.